I am based in Angel, North London, i cover South, West, East and Greater London. Contact me for availability! I am Ana I am originally from Portugal, moved to London in 2007 after graduating and spending 21 days in North India. In India I did volunteering work in a small village. This was a chance to enhance my exploration of the world and learn about other cultures because I felt I was unable to progress in my professional field. I was looking for new adventures which led me to working in bakery for a few years, volunteer with Mind (mental health organisation), during this time I did training to work with people with Mental Health. In 2010, I became a mother and everything changed. I have 3 beautiful children, Julia was born in 2010 and the twins named Caetano & Joaquim, who were born in 2012. I trained as a Doula in May 2012, i wanted to be a birth doula, a journey had to put on hold while i had 3 young children to look after. 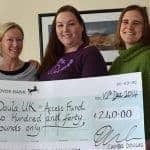 In June 2015 i became a member of Doula UK and supported my first family, as a postnatal Doula, in August 2015. Being a mother myself, living abroad from all my friends and family that I grew up with, I personally know how challenging it can be to be far from family, far from support, far from an extra pair of hands. At the same time I cherish all the experiences that I have seen, heard and felt and thank every day the support I had. An example of this was that I had difficulties breastfeeding for the first time and if I hadn´t had support, maybe my life would be different in a negative way. This has been a very rewarding journey I feel blessed to do what I love; I am truly passionate about what I do. I know I make a difference in these families’ lives, because I do it from my heart. I love to learn and to meet inspiring women and learning from them. I believe we all have a lot to give, but a lot to receive and learn with each other. I want to keep expanding and sharing my love with families, one thing you can expect from me, my total presence, dedication and understanding. I am flexible, non-judgmental, open minded, kind, creative and I can´t wait to hear from you!! I consider postnatal period an area that is much neglected, both cultural and by the health care system, especially with all the governmental cuts in the UK, the maternity services are being hugely affected. In some cultures women still have the “Laying” period where they spend the first forty days, or so, resting and being nurtured by other women who bring them food, keep her warm and do all the house work, making sure mother recovers from birth, focus on feeding and falling in love with her baby. Women and their bodies are here being respected and celebrated for the amazing job they have just accomplished, growing and giving birth to a new life. In our society, where everything seems to rush, there is this pressure to coming back to “normal” fast, for many reasons. Something so natural as giving birth and be a mother, seems to be a struggle most of the time. New mothers may not feel supported emotionally in the first days or weeks, and this is where postnatal doulas have a key role, nurturing and supporting the mother in the most amazing period of her life, but also when she feels more fragile and vulnerable. Making sure her and the whole family has a smooth and gentle transition. My services as a postnatal doula include both emotional and practical support, for the whole family in general, focusing on the mother, insuring a smooth and gentle transition into motherhood. .Space and time for debrief the birth, if that´s what you want.
. Help with other children, if any.
. Closing the bones massage. “Ana means: an amazing person, full of energy and a gifted mother. I was so glad i had you my friend when i got pregnant. You were always there to clarify my doubts, to keep me calm and support me with any matter. “Ana is a kind, friendly and genuine lady who always makes us feel warm and at easy when she visits. She truly cares for the family she looks after and taking a real interest in looking after the mum, giving lots of positive vibes and encouragement to the mum. I shared that I worry about my milk supply and one day she brought me lactation cookies she made at home! She is very good at looking after the household and the needs of the family especially the mother, sharing knowledge and personal experiences. She respects the family’s living arrangement, we never need to worry, she knows exactly what needs to be done, where to put things, amazingly efficient and organised, and attention to detail! Food is an important part of our families and Ana helps every time she is here, either cooking the food we usually eat, or she will bring the ingredients along and cook us a Portuguese meal, which we love! “I would have Ana if I could. If not I would have to find someone as kind and gentle. 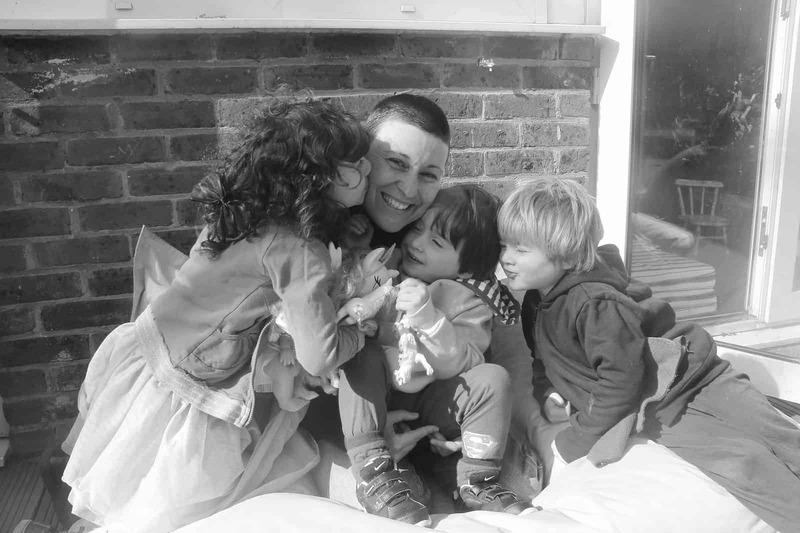 “I met Ana as post natal doula after the birth of our first baby, when she was 4 weeks old. Ana has been an incredible help to our family in a very delicate moment like the birth of a child. She has been willing to help us in any kind of chores around the house, always with a smile and good attitude towards work. She has been always very supportive, encouraging and it was nice to hear her direct experience as a mum of 3 children. When our baby was a bit older, she also helped us baby sitting so that my husband and I could go out for a drink and she seemed to dearly care for our daughter in a way that made me feel comfortable. “Ana has a very friendly and reassuring presence. She was very kind and non-judgement and we were very comfortable having her in our home. We found that she provided a knowledge base about child care, and was able to provide useful advice on a continuing basis. She operated with great empathy and compassion towards us, as we have learned more about taking care of our baby. As two new parents, we found that she was able to be a calming presence in light of our new experiences, and natural concerns. She is also a great cook!